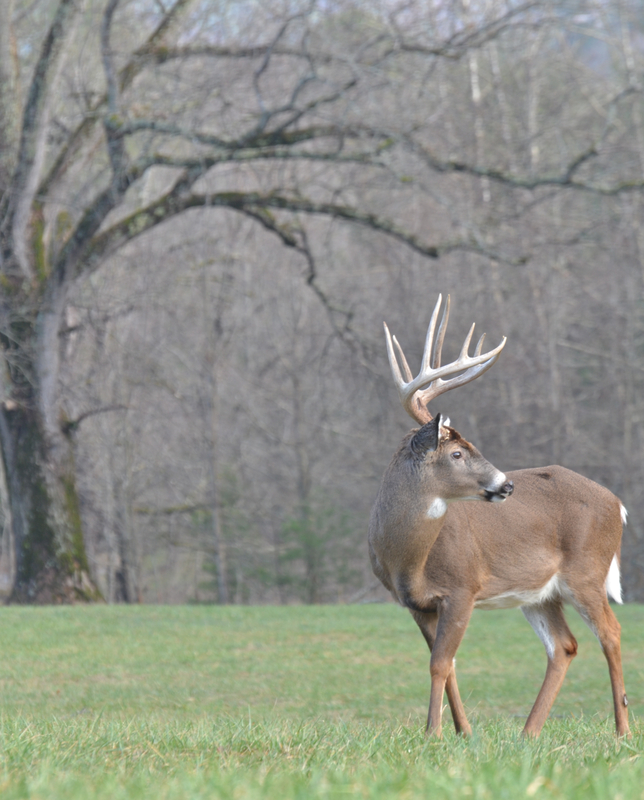 Another example of why Cades Cove is one of the best places to visit in the Southeast United States. This majestic 8-point was a short walk from the bathrooms. He was eyeing the other buck seen in this series. I had high-hopes to see them spar.